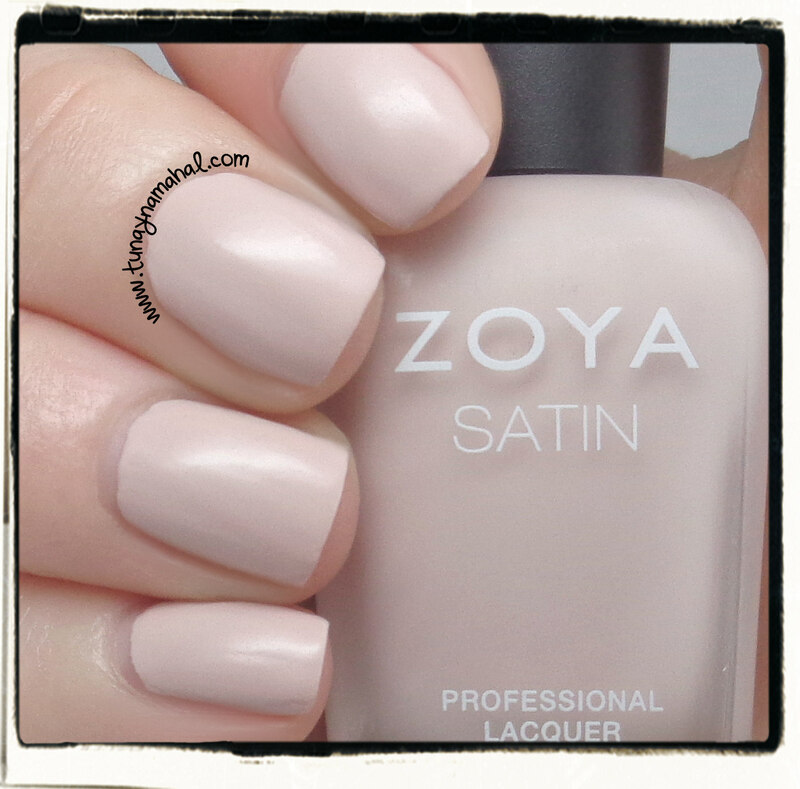 The Naturel Satins Collection is made up of 6 soft neutral shades. 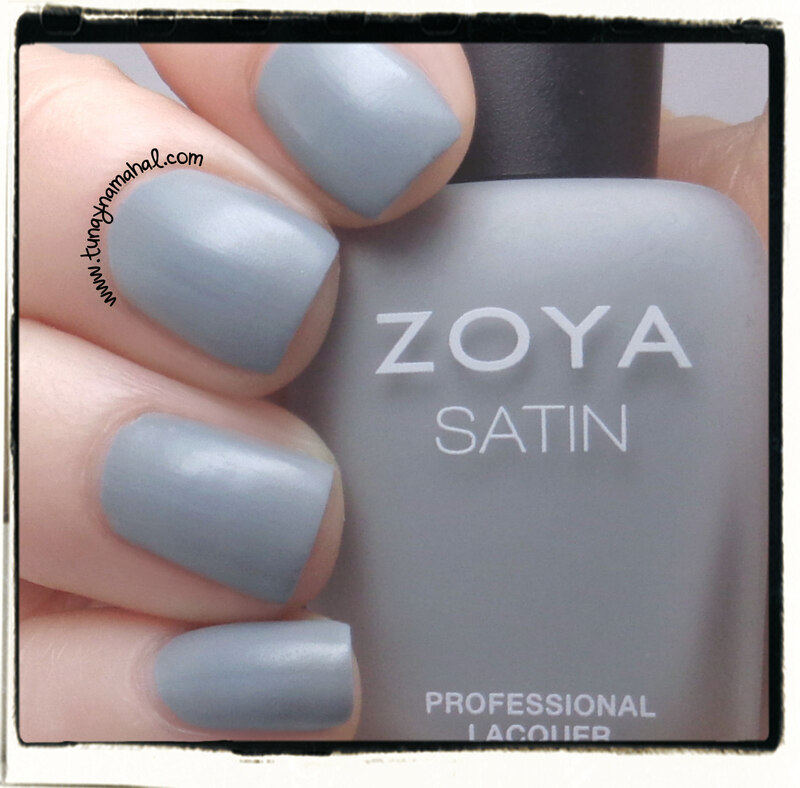 The finish is new to Zoya. The Satin finish dries with a soft semi-matte look. 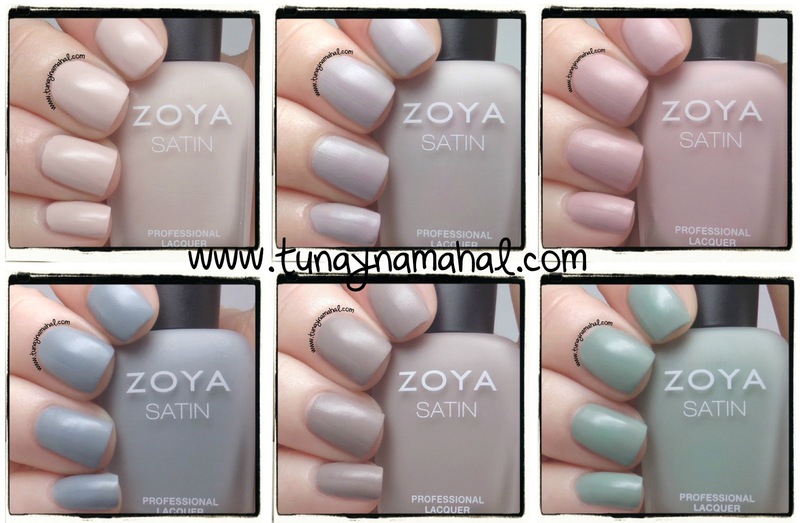 They are available for purchase on Zoya.com, individually, or as a set. 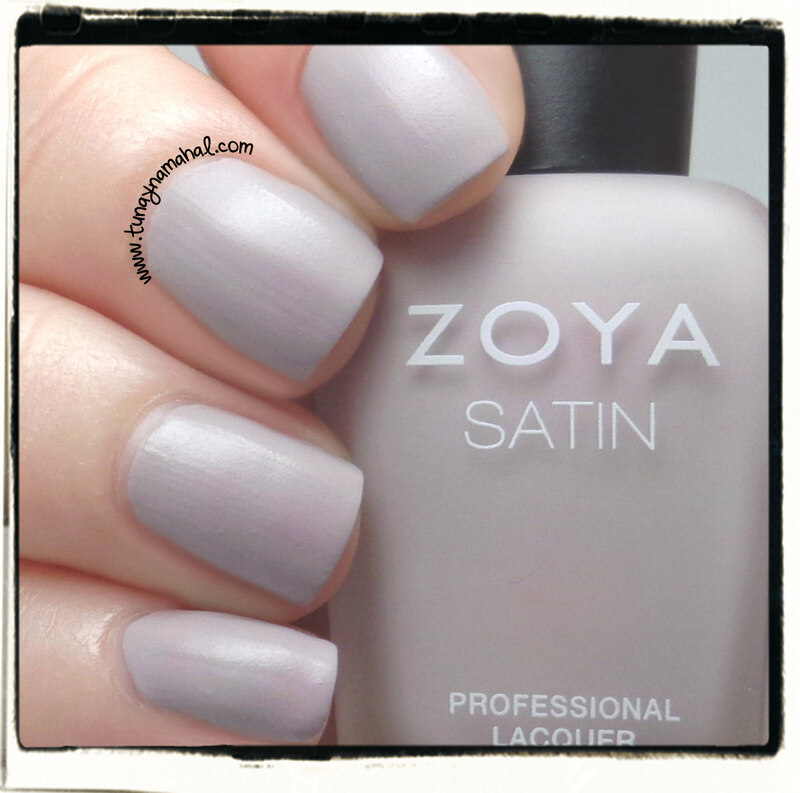 Leah: is is described as a lavender taupe. Leah is my favorite out of the collection. This is two coats, no topcoat. Tove: a lovely slate blue. I've been on a gray/blue kick lately, I really really love this color. Two coats. Brittany: is a pretty rose mauve. Two coats, no topcoat. Ana: toasted almond cream. Three coats, no topcoat. 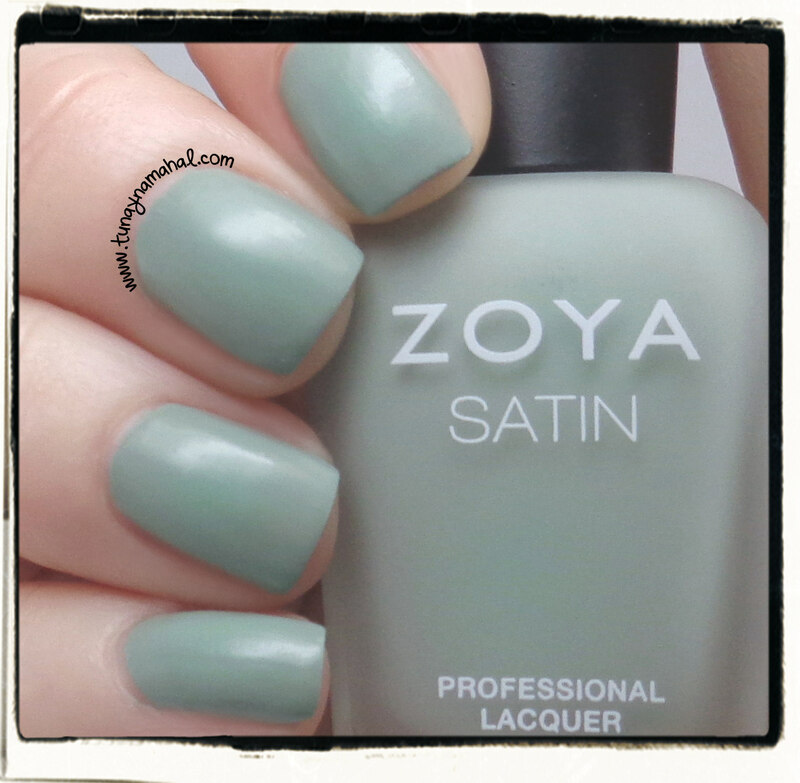 Sage: a mossy sage green, three coats, no topcoat. 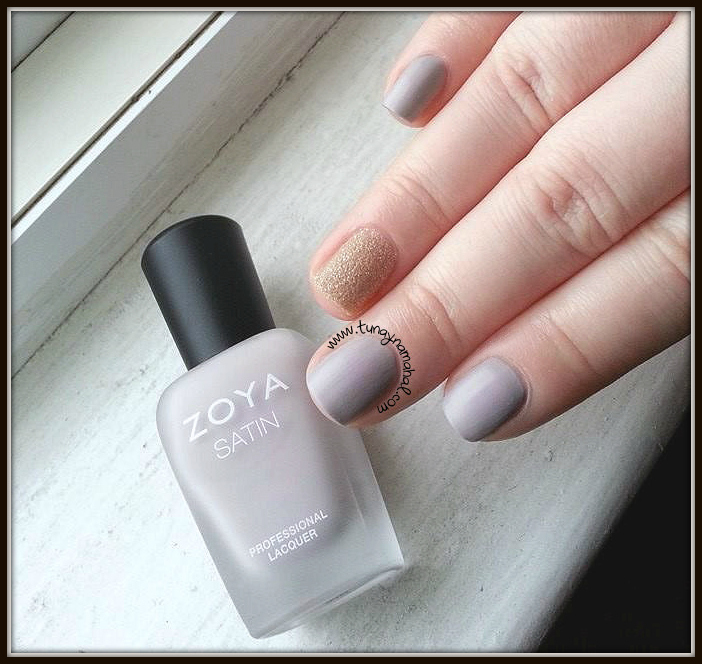 Rowan: a suede taupe, two coats, no topcoat. 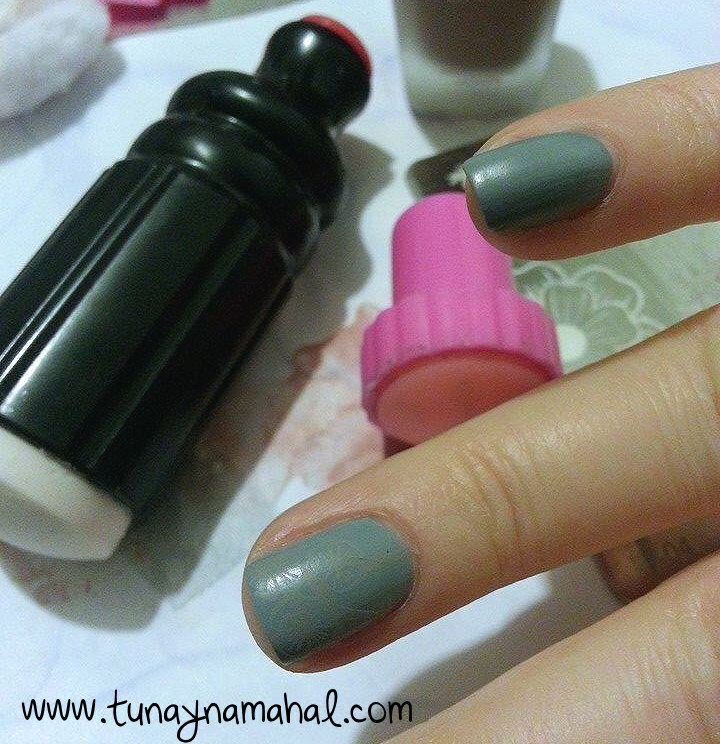 My thoughts: While I love the soft shades, the formula doesn't blow me away. Thin coats are your friend with these polishes. The first coat will be very streaky- thicker coats, and you will have self leveling issues. Even with two thin coats, once it dries you can sort of see the ridges or lines in your nails, (a ridge filling base coat might help with that... I probably need to buy one). Also, leave a good 5 minutes between coats, or else you will have dragging. I really hate to say it, but even though these are meant to be worn without a topcoat, they sort of look unfinished without one. I do think though, that these shades will make great bases for nail art. I had heard buzz on Facebook that the Satins stamped well. I did not have luck stamping with them. I tried light over dark, dark over light, two different stampers, different stamp plates. While they are opaque, once stamped onto the nail, the design is very very faint, so I don't see myself stamping with these. (Sorry for the crappy cell phone picture). 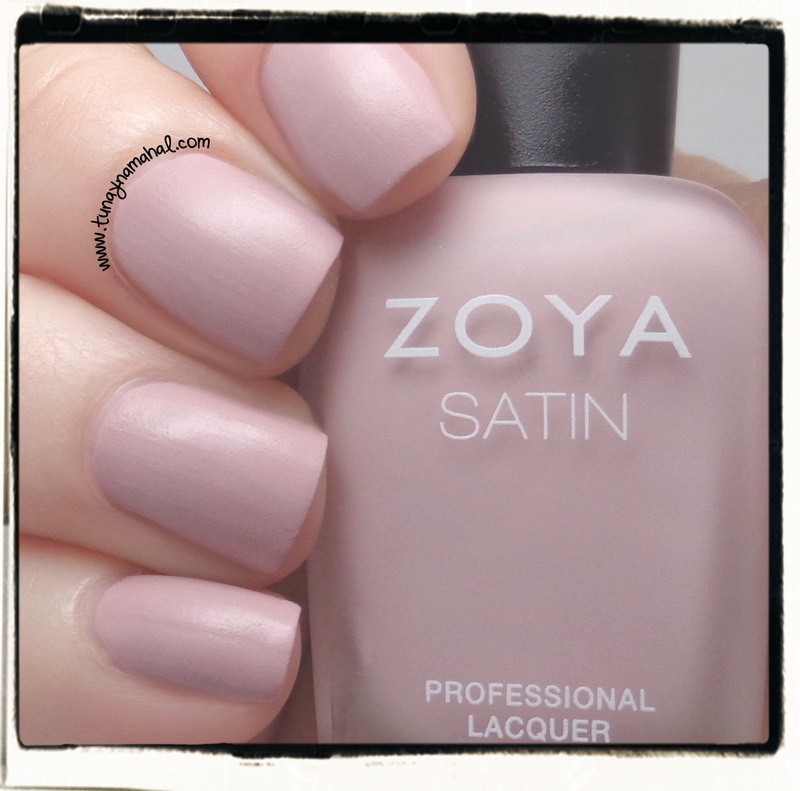 I still say kudos to Zoya for trying out a new finish. And, I do have to say the wear time on these, without topcoat was really good. I wore Leah for 3 days straight, I did dishes, I baked a casserole, and I didn't have any dings or dents, (which I was expecting). The third day I did have chipping on my index nail, (I do a lot of typing at work). 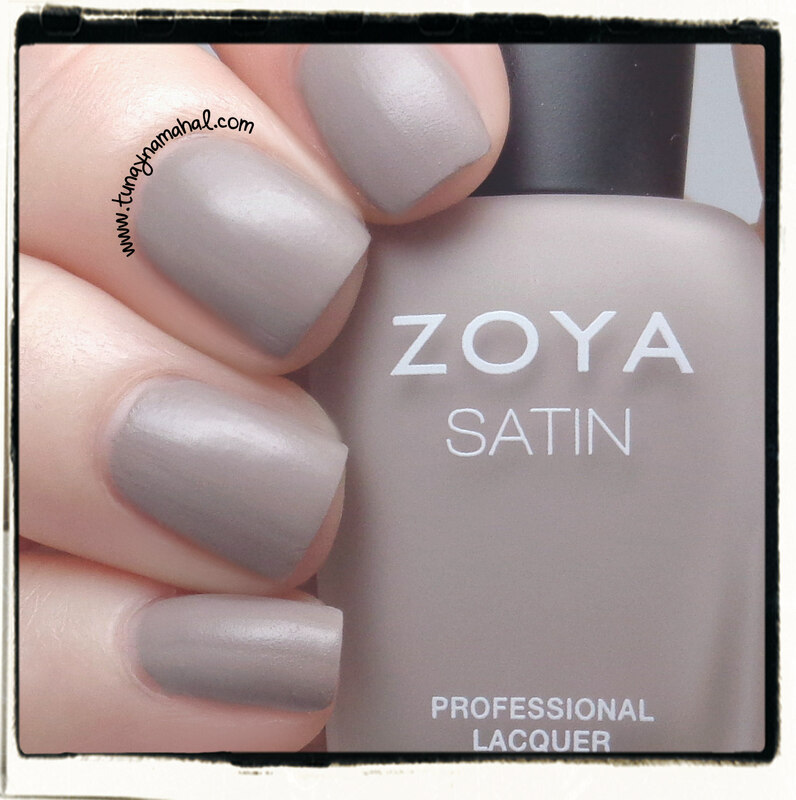 When I wore Leah, I also used the Zoya Anchor Base Coat. What are your thoughts on the new Naturel Satins Collection?